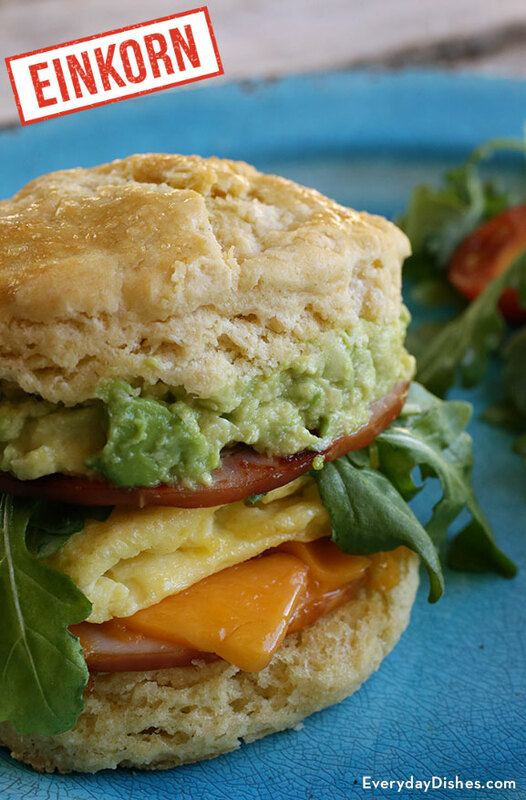 Our einkorn biscuit breakfast sandwich recipe is a cut above the rest. We used simple, great-tasting ingredients like Canadian bacon, baby arugula, freshly mashed avocado and cheddar cheese to create a morning meal that satisfies everyone. If you don’t have einkorn flour yet, you can make our easy buttermilk biscuits using traditional all-purpose flour. The recipe takes just a few minutes to prepare and a quick 15 minutes to bake. Of course, you can always find the canned biscuits at the supermarket if you’re not up to breaking out the whisk this time. This recipe lends itself to effortless modifications to satisfy your palette. For example, you can swap the Canadian bacon for any one of your favorite breakfast meats and add other fresh veggies like sprouts and tomatoes. Create a little spice with pepper jack cheese or keep it gooey and smooth using fresh mozzarella—you’re the boss, now get to it! Split the biscuits, cover them and set them in a warm place until you are ready to build the sandwiches. Scramble the eggs, one at a time and cook them quickly in a small skillet with melted butter. You will have a very thin ‘omelet.’ Fold in half and then into a triangle. Place on a plate and cover with foil. Keep in a warm place while cooking the remaining eggs. The process is so quick that the eggs will not have time to cool off. In a large skillet over medium heat, place 6 slices of the Canadian bacon and fry only until warm. Flip the slices and place a slice of cheese on each piece of bacon. 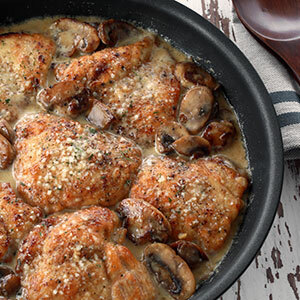 Remove from the skillet and keep warm. Heat the remaining bacon slices. Peel and pit the avocados and place in a medium bowl. Sprinkle with lemon juice and roughly mash with a fork. Salt to taste. Line up the bottoms of the biscuits up in front of you. Top each with a slice of Canadian bacon with cheese on it. Next place a triangle of egg, a few leaves of arugula, another slice of Canadian bacon and finish with a smear of avocado. Place the tops on each sandwich and serve immediately. Making breakfast sandwiches for a crowd? Follow our recipe for super easy baked eggs!